It doesn't matter what you call them, 18-wheelers, semis, tractor-trailers, flatbeds, big rigs or anything else – what matter is that big trucks often cause catastrophic and devastating injuries. In the blink of an eye, your life can change forever. Whether you were injured, or you lost a loved one as the result of a truck accident, contacting an experienced Pittsburgh truck accident lawyer can be the only way to see justice. Massive commercial trucking corporations have experts on hand to do everything they can to disprove your claim and minimize the payment you deserve. That's unfair – especially because accidents caused by these big rigs lead to devastating injuries – or even death. 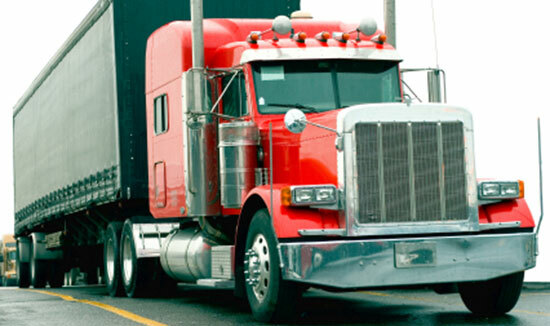 Our law firm has decades of experience handling truck companies and the insurance adjusters. We'll fight to get you the money you deserve, because you shouldn't be left holding the bill for the trucking company's negligence. Contact our Pittsburgh office any time at 1-866-943-3427 or simply complete the form to the right. If you'd like to chat with one of our representatives, click on the chat box in the bottom right corner of your screen. You know that feeling, when you look in the rearview mirror and see tons and tons of steel barrelling toward you. Or white knuckling the steering wheel when a big rig is passing alarmingly close by. It's scary, but what's really scary is the devastating injuries that result from truck crashes. If you or someone you care about was seriously injured in a truck related accidents, call us now. You need a law firm that knows the ins-and-outs of trucking law. For a free consultation call 1-800-9-4EDGAR. The trucking company will act fast, sending their lawyers out to the accident scene. They'll send investigators and adjusters to try to collect statements (Just Say No!). They might try to dissuade you from hiring an attorney. They will attempt to minimize your claim as much as possible. They'll delay your claim, hoping you'll get frustrated and quit. Send our team of investigators to collect evidence. Reconstruct the accident to show exactly what happened. Conduct a full inspection of the truck, collecting maintenance records and black box information. Fight to recover money for medical bills, pain and suffering, and lost time at work. Stand up to aggressive adjusters trying to foil your claim. You might not be aware, but truck companies are required to follow strict regulations to maintain the safety of their drivers and the drivers around them. When truck companies don't follow these safety procedures, accidents happen. Our experienced Pittsburgh truck accident lawyers can help with your truck accident case. We're available 24/7, and your consultation is always free with Edgar Snyder & Associates. Call us at 1-866-943-3427 or complete the form located at the top right corner of this page. Chat with a live representative by clicking the chat box in the bottom right. Remember, there's never unless – or until – we get money for you. Don't wait; there may be time limits to your claim. Contact us today.